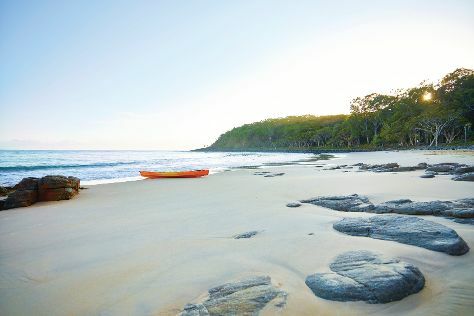 Start off your visit on the 22nd (Fri): explore the wealth of natural beauty at Noosa National Park. For where to stay, photos, traveler tips, and other tourist information, read our Noosa trip builder app . London, UK to Noosa is an approximately 29-hour combination of flight and train. You can also do a combination of flight and bus; or do a combination of flight, bus, and train. The time zone difference when traveling from London to Noosa is 10 hours. Cap off your sightseeing on the 22nd (Fri) early enough to go by car to Brisbane. Change things up with these side-trips from Brisbane: Sea World Theme Park (in Main Beach) and Warner Bros. Movie World (in Oxenford). There's still lots to do: walk around South Bank Parklands, get in on the family fun at Wheel of Brisbane, take some stellar pictures from Mount Coot-tha Lookout, and look for all kinds of wild species at Lone Pine Koala Sanctuary. 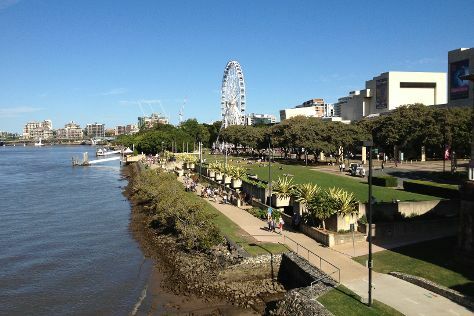 To see photos, reviews, more things to do, and tourist information, use the Brisbane visit planning app . Getting from Noosa to Brisbane by car takes about 2 hours. Other options: take a train; or take a bus. In February, daily temperatures in Brisbane can reach 33°C, while at night they dip to 24°C. Cap off your sightseeing on the 26th (Tue) early enough to travel back home.